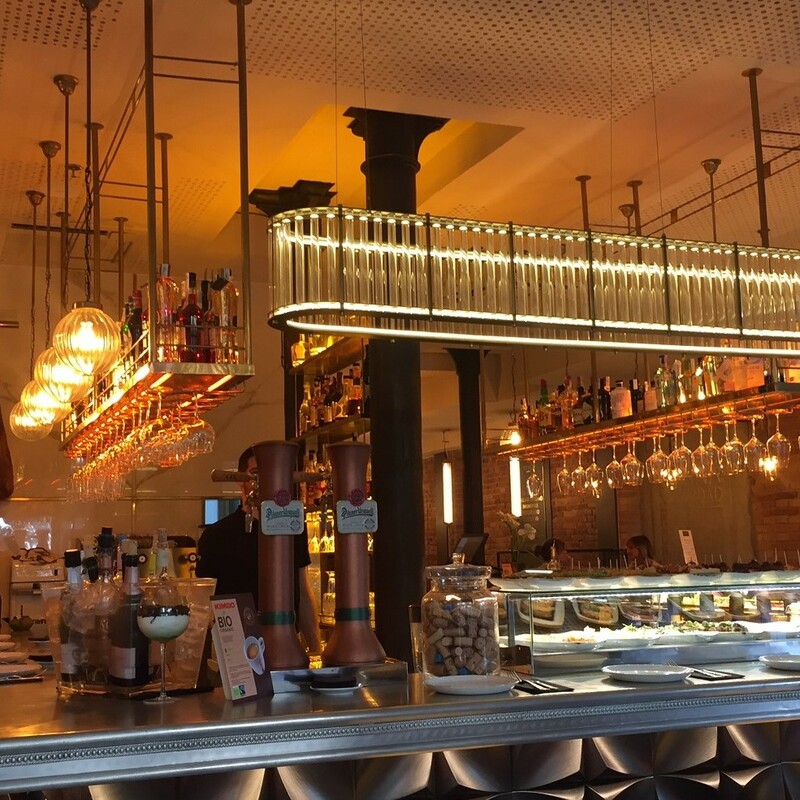 Right in the centre of Barcelona, in the number 225 of carrer Roselló, we find Vivo Tapas Restaurant, a restaurant specialized in Mediterranean cuisine: tapas. 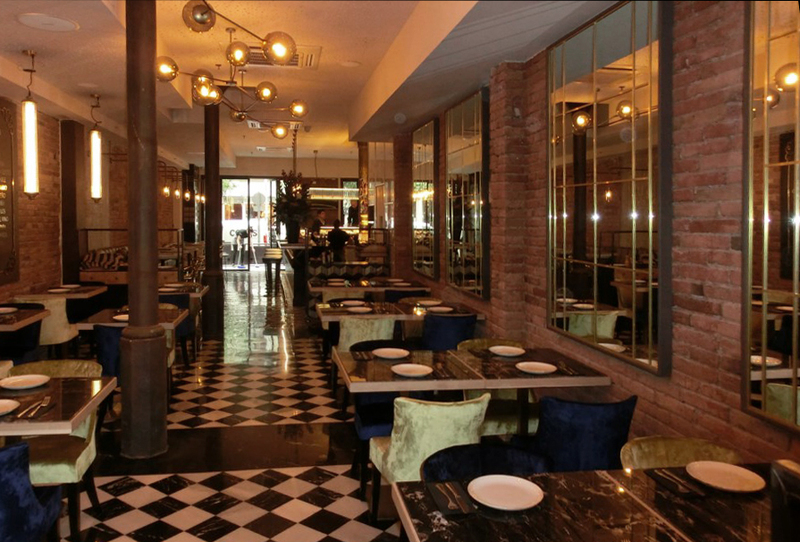 A characteristic space, with an original, modern, and sophisticated decoration that puts the visitor in the mood to enjoy a nice meal. For this project, we were commissioned to design and manufacture the lamps, through which we intended to create a cosy space. 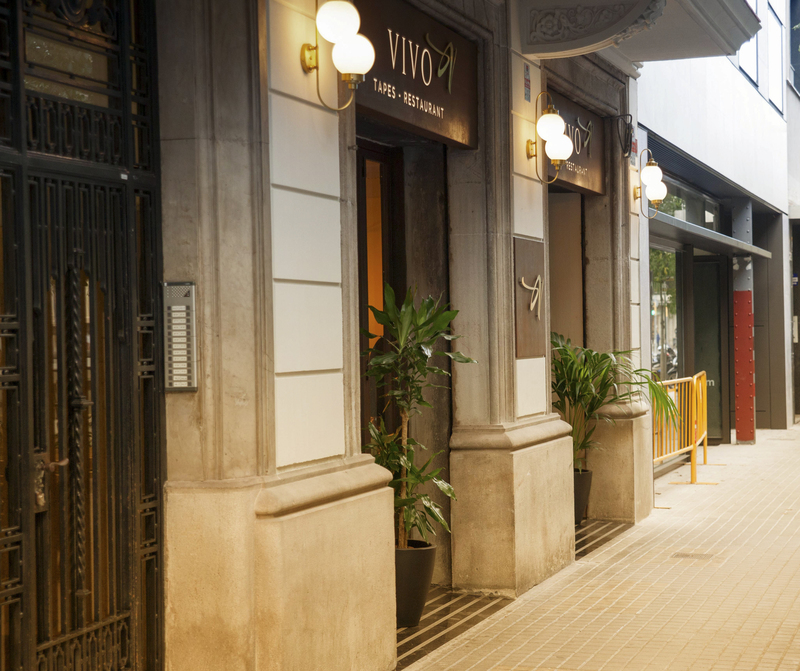 In the exterior façade, we placed crystal balls sconces with a finishing in aged-brass. 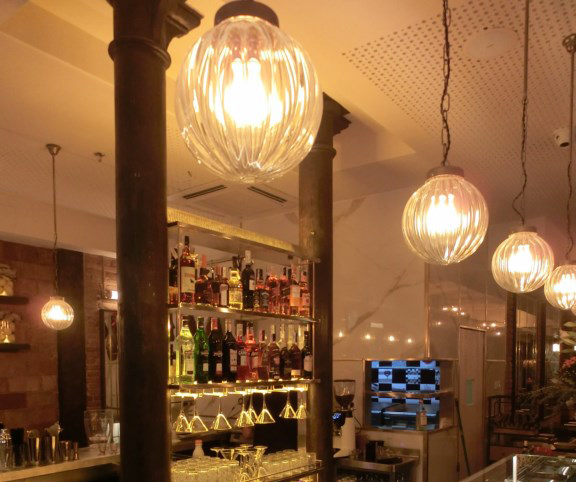 Inside the restaurant, over the bar, there is a 1.5 m long hanging lamp, with a lampshade created with crystal cylinders. 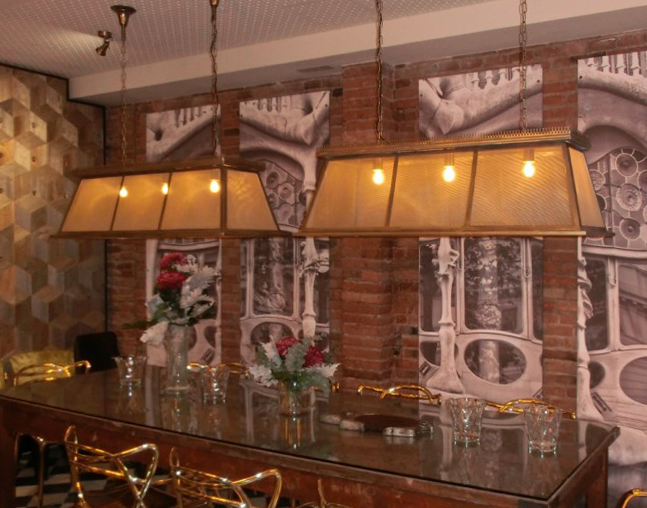 In the dining area, we can find a variety of 5 hanging lamps made of crystal balls and crystal lampshades, and some sconces with a sailing theme.